Have you ever wondered why our towels look dirty yet we wash and clean ourselves thoroughly? Yes it’s true,our bodies tend to release dead body tissues which stick on our towels. If you’ve splashed out on fluffy hotel-style towels, there’s nothing more frustrating than when they lose their pile and turn scratchy after a few washes. But if you think pouring in extra softener to restore them to their former glory will do the trick, you could be wasting your time and money. According to Rachel, a cold wash using the exact amount of liquid or powder with no softener and minimal drying time is the key to perfectly fluffy towels every time. You might be tempted to throw your towels in at a high temperature to renew them, especially if they’re a few days overdue a wash. However, Rachel recommends putting them on a cold wash.
‘The icy temperatures prevent shrinkage at the seams, help keep colours true and work better on certain stains,’ she explained. Chemicals in fabric softener can actually damage the fibres and make towels less supple with every wash.
‘Instead, drop a tennis ball into the tumble dryer to agitate and puff them up’, Rachel said. 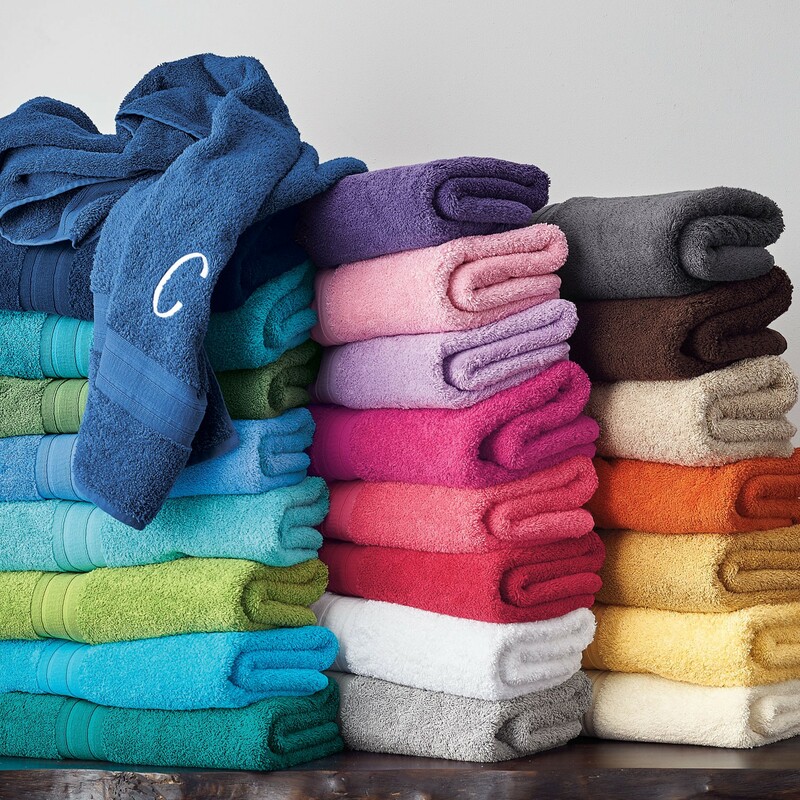 You can also give your towel longevity by washing it separately to avoid piling. If you guess the amount of washing powder or liquid you need and end up using too much it will prevent your towels from rinsing clean, leaving them stiff instead of fluffy. Highly absorbent towels dry quicker, so you should put them on for the shortest cycle possible. You can also take them out before they’re completely dry and let them finish off naturally to prevent damage. And you should skip dryer sheets, which can reduce towel absorbency over time. How often should towels be washed? No matter how clean your body, or your towel is – they are dirtier than you would expect. Each time a towel is used, removes a layer of dead skin cells, acting as a exfoliator. Damp towels are also the perfect breeding ground for germs, the longer they are left, the more the bacteria multiplies. To stop towels smelling musty, add half a cup of baking powder to the wash load to freshen them up.